On Monday, January 21st 2019 the centenary of the 1st sitting of Dáil Éireann at the Round Room of the Mansion House will be marked with a joint sitting on the Houses of the Oireachtas, followed by a State Reception hosted by the Department of An Taoiseach across the entire Mansion House complex; The Round Room, The Oak Room and The Supper Room (FIRE Restaurant & Lounge since 2005). Did you know that the Round Room is Ireland’s oldest purpose-built events venue originally built in 1821 to welcome King George IV to Dublin as there was no venue in the city deemed suitable to welcome a King? It was built on the grounds of a former bowling green and took just 6 weeks to build. Queen Victoria was the 2nd Royal to visit The Round Room in 1900. Michael Collins once posed as a janitor by sweeping the floor of the Round Room and successfully duped the British Army who were there specifically to arrest him but failed to recognize him. The venue and house were almost demolished in the 1930s to enable the building of a new Dublin City Hall before, thankfully, plans were abandoned. The Lord Mayor’s Banqueting Hall, also known as the Supper Room, was added to the venue in 1864. This space now operates as FIRE Restaurant & Lounge. In its period as a cultural centre, many of Dublin’s residents would remember visiting the venue to attend one of The Irish Dancing Championships that took place regularly. Princess Grace (Grace Kelly) of Monaco’s visit to Ireland on 10th June 1961 took in a visit to the Round Room where she presented various charities with 700 punts before a four-day private holiday in the west to visit her ancestral homeland of Co Mayo. The Lord Mayor’s Ball began shortly after the Mansion House had been acquired in 1715 as the residence for Dublin’s first citizen. The ball originally took place in the Oak Room on St. Stephen’s night (26 December) and the principal invited guests were the city’s 24 Aldermen and their wives. Proceeds back in 1715 went towards the support of poor boys at the Blue- Coat School in Blackhall Place. In 2019, on the 26th January, 500 guests will be in the Round Room for the Lord Mayor’s Ball which intends to raise €100,000 for Hugh’s House, The Irish Guide Dogs for the Blind and the Jack and Jill Foundation. The members of U2 – Bono, the Edge, Larry Mullen and Adam Clayton, plus their then manager, Paul McGuinness – became freemen of Dublin on March 18th, 2000 in a ceremony in The Round Room. Under one of their new rights, Bono and the Edge grazed lambs on St Stephen’s Green the next day. The Web Summit’s inaugural event took place in the venue in 2009. In 1821 the venue hosted just one event. Today the venue regularly hosts 2 events per day. 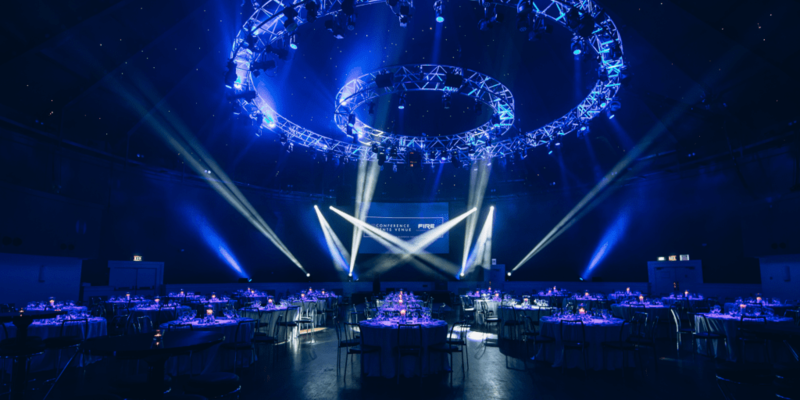 Host your next event in the Round Room, the venue that hosted the first-ever Dáil Éireann and which is celebrating its 100th anniversary this 2019!